One in three Americans owns a single-cup coffee maker, and its popularity has grown steadily for years, according to the National Coffee Association and Statista, a market research firm. While the machines certainly prove convenient, there's a trade-off: Millions of used coffee pods end up in landfills. But the industry is making moves to reduce that waste. Keurig, which commands the largest share of the market (29 percent), is working on making all of its pods recyclable. Currently, you can recycle its K-Mug, K-Carafe, and Vue pods, along with pods for two K-Cup varieties—Green Mountain Breakfast Blend and Green Mountain Breakfast Blend Decaf. The company says its goal is for all K-Cups to be recyclable by 2020, which will include K-Cups from major coffee brands like Starbucks and Dunkin’ Donuts. Other pod coffee brands beat Keurig to the punch: Nespresso coffee pods, or capsules, as the company calls them, are recyclable. These are made of aluminum rather than plastic. And the pods for Starbucks' proprietary Verismo pod coffee maker as well as the lesser known Tassimo T-Disc pods can also be recycled. Even some pods considered nonrecyclable can be recycled with a little effort. In most cases, it comes down to a pod's plastic shell. Which Plastics Can You Recycle? First, you'll want to know the gauge of plastic in a pod. Look on the package for the number within the recycling symbol's triangle. Plastics are categorized from 1 to 7, but not all can be recycled. For a full explanation, see Eartheasy's Plastic by the Numbers. Check with your town’s recycling center or sanitation department to see which plastics it accepts. Recyclable K-Cups (including K-Mug, K-Carafe, and Vue pods) are made from #5 plastic, or polypropylene. K-Cups considered non-recyclable are made from #7 plastic, which is a catchall for any plastic not categorized from 1 through 6. "Polypropylene is accepted in a lot of curbside recycling programs," says Dylan de Thomas, vice president of industry collaboration for the Recycling Partnership, a nonprofit that promotes recycling. But there aren't many towns that accept #7 plastic. He says that's because there just isn't a robust market for the material. Depending on your town's recycling rules and the types of coffee pod you use, you have a few options beyond the trash can. You can separate the components of the pod, some of which you can recycle and some of which are waste. You can also keep the convenience of pods but switch to a reusable pod coffee filter. Below, we break down how to recycle coffee pods from five of the most popular brands. Keep in mind that in all cases, you could also compost the coffee grounds, which is great for gardens and landscaping. The method of recycling Keurig pods depends on the type of pod you use. Again, you can already recycle K-Mug and K-Carafe pods. If you’re not sure whether your K-Cup pods are recyclable, check the bottom for a recycling symbol with the number 5. To recycle these pods, peel off the aluminum foil top. Toss the grounds, aluminum top, and paper filter, and recycle the plastic pod shell. 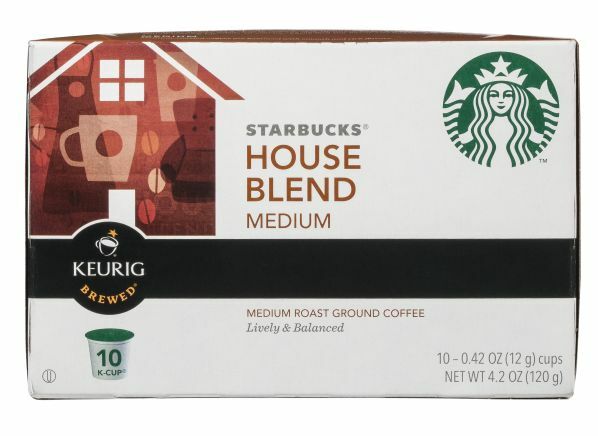 For K-Cups without the recycling symbol, it gets a little trickier. First, check to see whether your town recycles #7 plastic. If it does, begin by carefully peeling off the aluminum top. Remove the grounds and paper filter. You can now recycle the pod’s shell and toss the grounds, foil top, and paper filter. A word of caution: We tried disassembling a "nonrecyclable" K-Cup, and it’s not the easiest thing to do. We found we needed a box cutter to separate all the pieces, which—like wielding any knife—requires careful use to avoid accidental injury. Another option is to buy a special K-Cup cutter. A company called Medelco makes a Recycle-a-Cup Cutter, $14 for two, which you attach to the top of the pod and twist to more easily separate the top and filter from the plastic pod shell. We tried the Medelco cutter and found that while it does easily separate the pod shell from the filter, it still leaves some plastic attached to the filter, which you have to throw in the trash rather than recycle. The pods for Nespresso’s OriginalLine and VertuoLine are made of aluminum and can be recycled (provided your town recycles more than just aluminum soda cans) if you empty the coffee grounds. But the company encourages customers to use its own recycling channels, because not all towns recycle this type of aluminum. According to a Nespresso spokesperson, you have a few options. The company offers free pod-recycling bags (in-store and online) with prepaid UPS shipping labels. Those bags can be mailed back to Nespresso from any UPS store or dropbox. You can also take used pods to any Nespresso Boutique or participating partner store, such as Sur La Table and Williams-Sonoma. To find the closest recycling partner, use this Nespresso map tool. 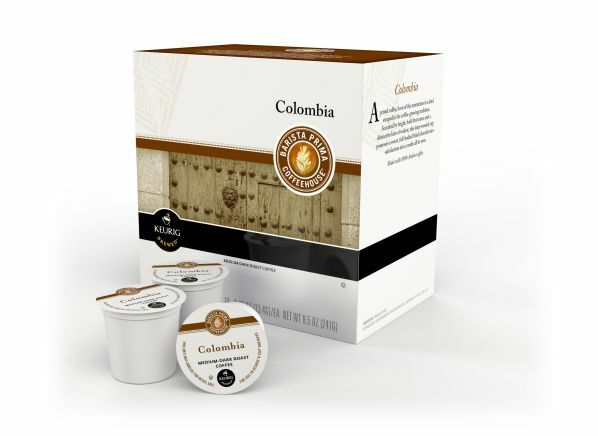 Like Keurig’s new K-Cups, a Starbucks spokesperson told CR that the company's Verismo pods are made of #5 plastic and can be recycled, provided you peel off the top and remove the grounds and paper filter from the pod. However, once again we found it difficult to remove the filter from the bottom of the pod. We had to cut the pod in half to finally peel the filter off the bottom. Similar to the "nonrecyclable" K-Cups above, this could be hazardous. When you do disassemble the pods, you can recycle the shells, but the grounds, pod tops, and paper filters must be thrown out. 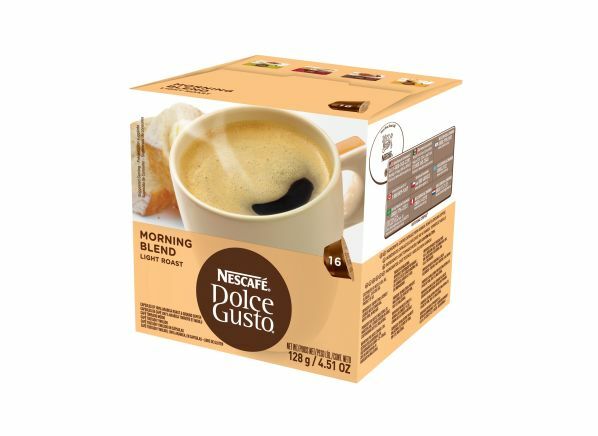 Nescafé pods are made of #1 and #5 plastics, according to Nestlé, which makes Nescafé Dolce Gusto. If you separate the individual components (two pieces of plastic film, coffee grounds, a foil layer, a plastic filter, and the plastic pod shell)—and your town recycles #1 and #5 plastics—you should be able to recycle the plastic filter and pod shell. Like the above pods, however, you might need to carefully use a sharp edge to separate the components. A Nestlé spokesperson told us the company is working to find a sustainable (and perhaps simpler) recycling solution. Tassimo T-Discs, used by lesser-known Bosch Tassimo brewers, are recyclable. 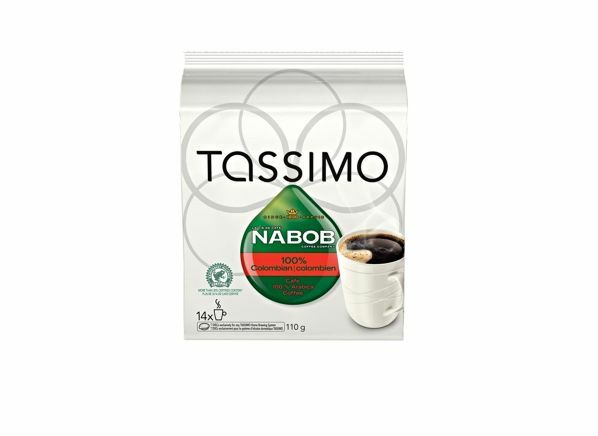 According to a Kraft Heinz representative, Lynne Galia (Kraft Heinz makes Tassimo), the plastic T-Disc shell can be recycled after removing the foil top, filter, and coffee grounds.